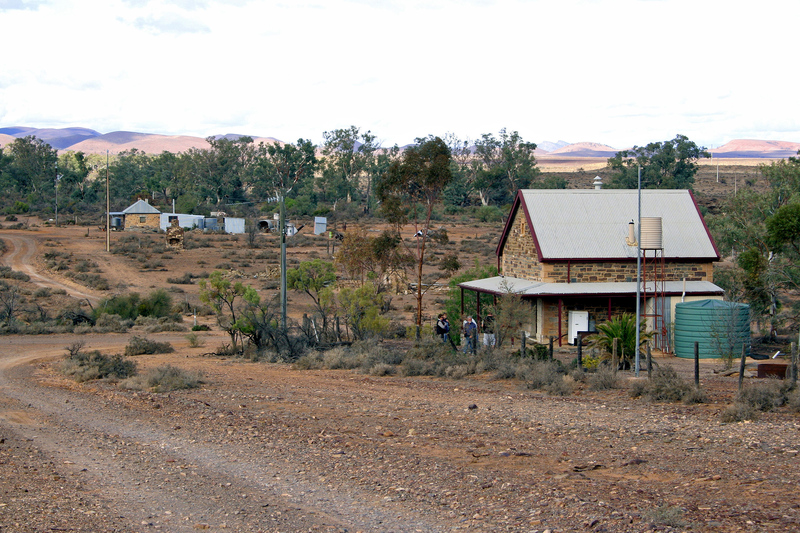 Our introduction to the small town of Beltana was a late evening dash through dusty dirt streets on the way to a nearby campsite, as we attempted to complete a day-long drive before darkness settled over the Northern Flinders Ranges. But our fleeting glimpse of this ghost of glories past was enough to entice us to take time away from our planned activities several days later, when we returned for a more leisurely investigation. 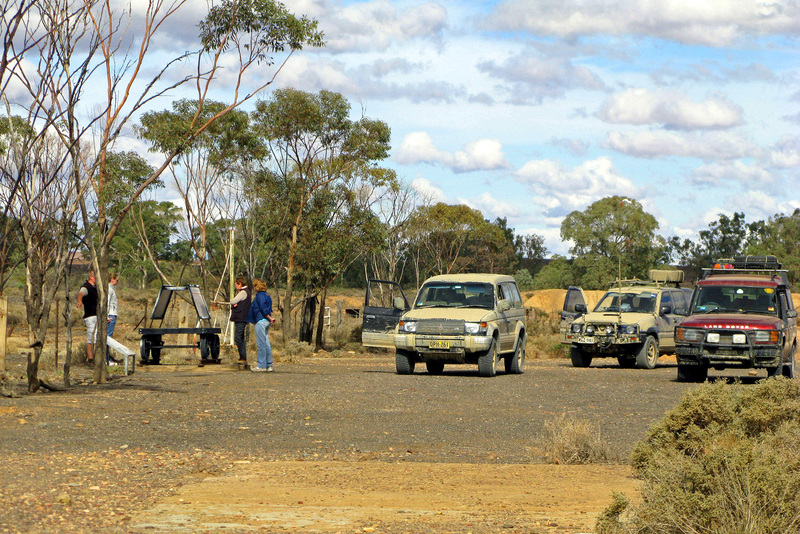 Beltana is a small town 540km north of Adelaide, just off a good sealed highway that, soon after, turns feral, becoming the famed Oodnadatta Track. 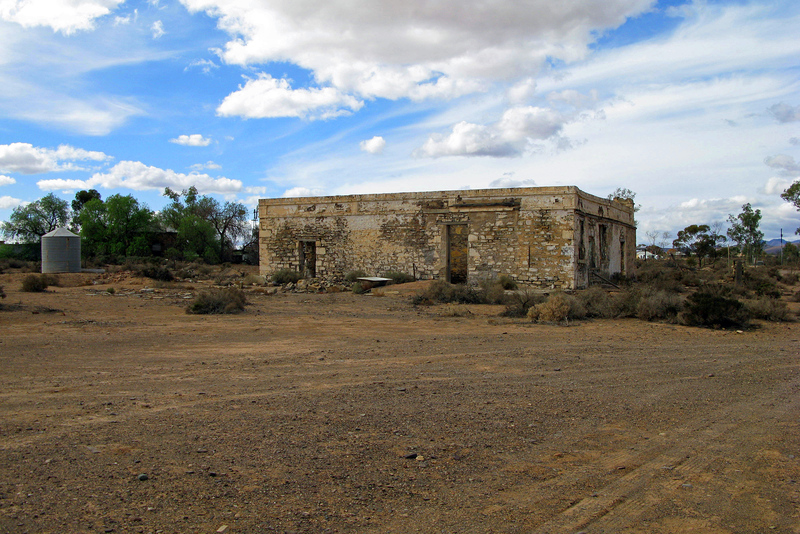 While it touts itself as “the capital of the pastoral north”, it now sits in a desiccated environment, the skeletal remains of this once thriving centre a reminder of its former glories. Now it seems a deserted and blasted landscape, with a handful of freestanding gems of past architectural treasures, ranged alongside decay and desolation. This has been written without having spoken to any of the handful of locals who still occupy houses in the town. 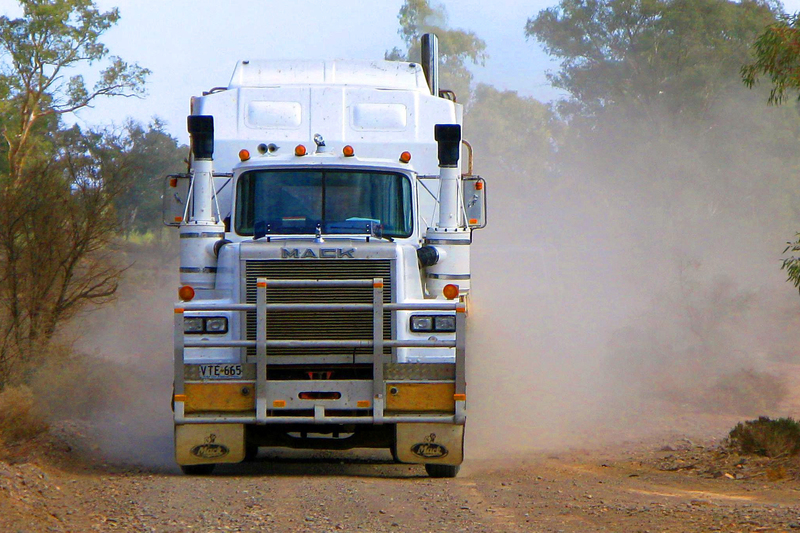 In fact it’s fair to say that the only signs of human activity we saw were two men who waved to us from the roadside as we drove through on that first evening dash, and a later glimpse of the driver of a semi-trailer who drove past us during our return trip; he was parked briefly in the centre of the main street, completely blocking its use – not that it impeded anyone, because there was no other sign of human movement; then he disappeared into a neighbouring house, before emerging later to jump into his truck and drive off down the road. We made jokes among ourselves about locals hiding furtively behind drawn curtains, secretly signalling to each other that outsiders were about and to keep indoors. We knew this was nonsense, but the prevailing sense of eerie desolation did nothing to ease the unnerving feeling that we were attending the funeral of a way of life. 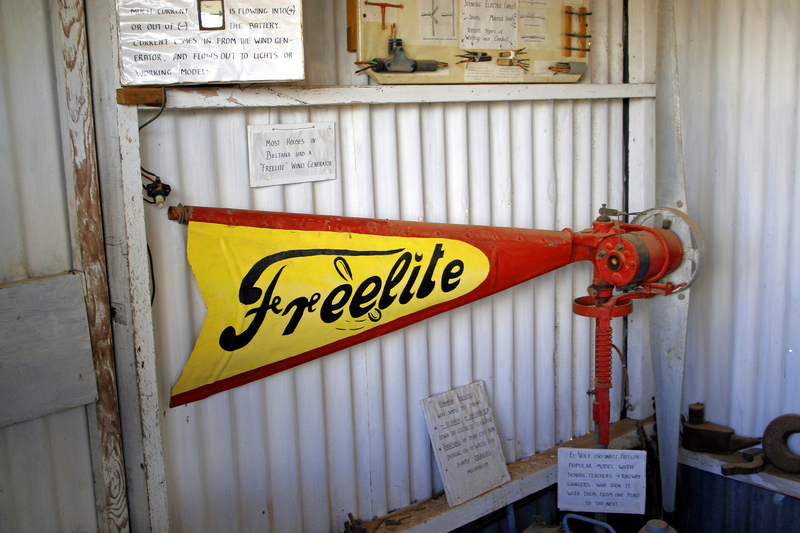 Beltana was once a flourishing centre of a booming rural economy in South Australia’s northern regions, from a time when everything north of Adelaide was seen as a green oasis waiting to be tapped by farmers and settlers. The discovery of mineral wealth in the area (mostly copper), the arrival in 1872 of the Overland Telegraph Line (for which Beltana was chosen as a site for one of 11 intermediate relay stations between Adelaide and Darwin), and the railway in 1881 all created a boom in the building of handsome and substantial premises for the full range of social support structures: police, school, hospital, churches, et cetera. Settlement had long been established here because of a regular spring. Some suggest Aborigines named the place Beltana, meaning ‘running water’ or ‘crossing of the waters’. Others propose more mundane explanations. Explorers Edward John Eyre and John McDouall Stuart traversed the region, and Thomas Elder took over the Beltana pastoral lease in the area in 1867. So buoyant were the prospects that a town was surveyed. A hotel was built; and with 115 allotments, parklands and room for suburban expansion, the plan was obviously for a bright future. At its height, between 1875 and the 1920s, Beltana supported a brewery, two hotels, post and telegraph offices, a school, police station, railway station and maintenance sheds, doctor, courthouse, church, hospital, baker, butcher, blacksmith, race meetings, carriage maker, mining exchange, general stores, many sporting teams and a population of up to five hundred people. In fact, in the 1920s Beltana was suggested as the capital of the proposed state of Brachina! And now it’s almost all gone. We stepped from our cars outside the old schoolhouse, a neat little square stone building surrounded by rusting play equipment and dust. 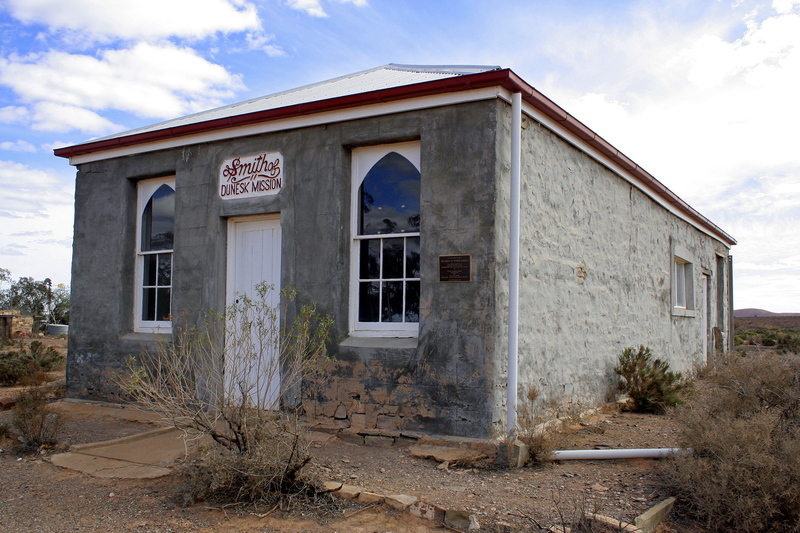 Up the hill, past empty blocks of land, was the now restored police station, one of those quintessentially South Australian stone buildings, surrounded by a typically Australian veranda. Outside was a small information board, explaining the building’s history. It was characteristic of the remaining major buildings in the town, a gem of late Victorian rural architecture, surrounded by desolation and obliteration. Across what was a notional road stood a house made of sheets of galvanised iron. Walking back to the cars I picked up a hand made bolt that would once have been forged in the local blacksmith’s shop. I found it lying rusting in the road. The majority of the town is now low scrub and remnants of old buildings, and we stepped between the clumps of sticks and dark green saltbush as we walked towards the town museum, an open-fronted shed, screened with wire and containing a random selection of souvenirs of the town, with hand written explanatory notes covered in plastic. Somewhere in the notes it said that the display had been put together in conjunction with children from the local school. It seemed a not inappropriate echo of a time, now long past, when community life would have been the beating heart of towns such as Beltana. The now empty and dusty streets seemed to echo with the memories of school fetes, knitting bees, country women’s association meetings, beery nights at the pub, picnics alongside creeks, the joy of trips into town after a wool cheque came in, a farmer’s dance for joy at the fall of good rain after a long dry, the peel of the church organ, the clang of the school bell or the ping of the blacksmith’s hammer on the anvil, a funeral service around a newly dug grave. All these and more once made up the life of towns like Beltana; they were the vital organs of a way of life right across Australia. Beltana died because of droughts, world wars, fires, floods, depression, the decline of local mines, the loss of youth to the cities, and the withdrawal of services by banks, postal authorities, police and all the other sinews that bind our societies; ultimately, Beltana died from the collapse of faith in a way of life that once sustained the majority of the nation’s population when we were just a grouping of distant colonies and then a newly federated nation on the bottom of the globe. 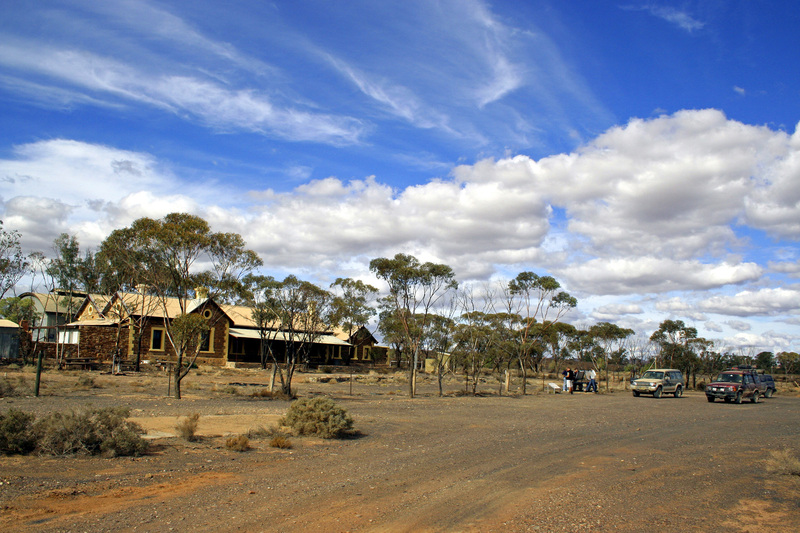 Beltana is a nearly forgotten corner of the world today, off in the scrub to one side of a comfortable highway that whisks our modern air conditioned vehicles along through the parched but glorious scenery of the Northern Flinders Ranges. 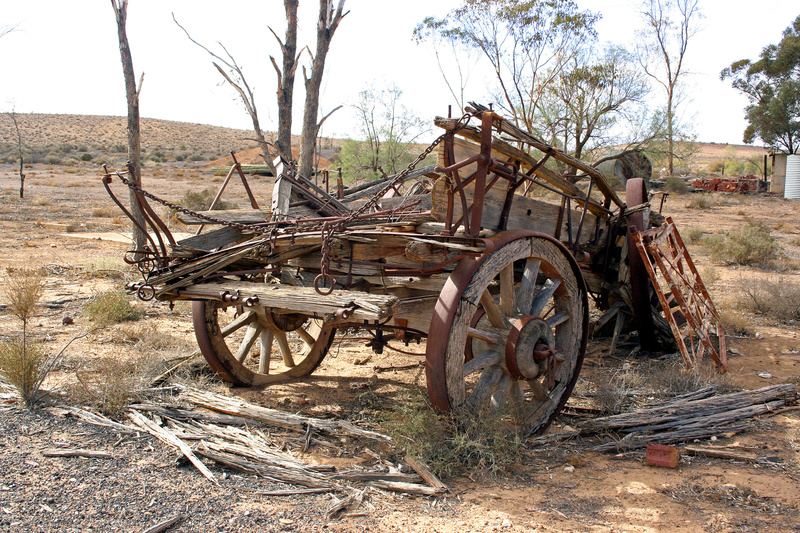 But if we take the turn-off at the Beltana Roadhouse, and tolerate the rattling of our suspension down the rough dirt road that leads a few kilometres back towards the hills, we can take a step through the portal of this time machine. Sit still and silent and you’ll hear the echo of a way of life that’s gone forever.